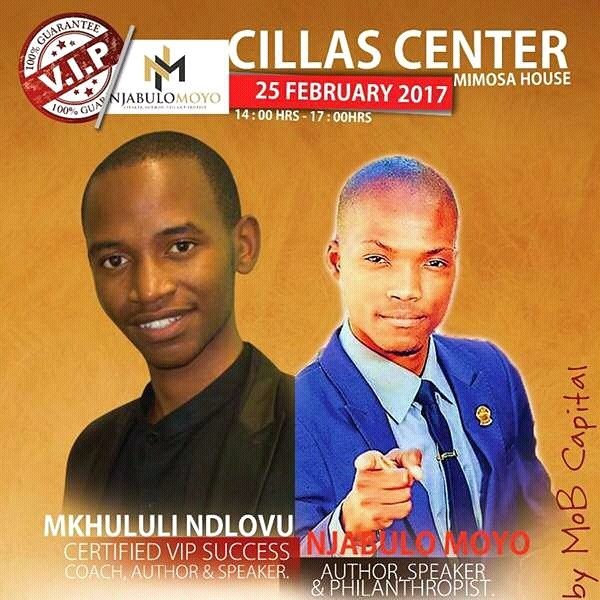 Certified VIP success coach author and speaker Mkhululi Ndlovu and talented author, speaker, poet and philanthropist Njabulo Moyo will on Saturday next week host a motivational talk at Cillas Centre in Bulawayo. The event will start at 2pm and will end at 5pm.Featuring motivational speeches from brilliant motivational speakers of our generation. 2. Have a clear Life direction & Clear sense of Life direction. 3. Learn the Strategies & techniques to build your financial muscle. 4. Build your self-esteem and strategic relationships..
7.Learn and experience the Power Within You.